Now there’s no reason to wait for your critical Teledyne RD Instruments Waves data. Used in conjunction with an Teledyne RDI Waves Array, the new NEMO Waves Processing Module actually processes your ADCP/ Waves data at the source, removing the typical constraints for transmitting this data to the surface. NEMO provides you with real-time data for real-time decision making. Heard about Teledyne RDI's new NEMO interfaces? 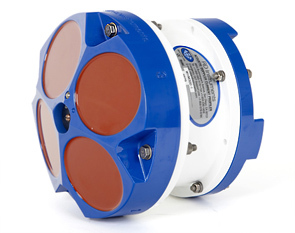 >>Teledyne RDI's Workhorse ADCP and/or NEMO Waves Module can now be interfaced to a Teledyne Benthos Acoustic Modem. A new board set integrated within the instrument allows you to upgrade your Workhorse ADCP or NEMO Waves Module to provide real-time wireless acoustic data transmission to the surface. 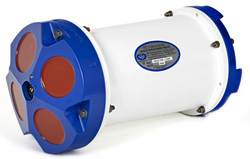 >>Teledyne RDI's NEMO Waves Module can now be mounted directly inside the Workhorse ADCP pressure housing This new hardware integration allows for real time wave and current measurements with only one pressure canister for increased reliability. The NEMO now also includes the RS422 communications protocol for integration of processed wave and current data into your ocean observatory via long cable runs.